“Gentle, smooth, natural shapes that make you feel an outdoor experience within home walls. A contemporary star renovated by new material combinations for more versatile uses. For those who want to relax in a combine of functionality and elegance”. 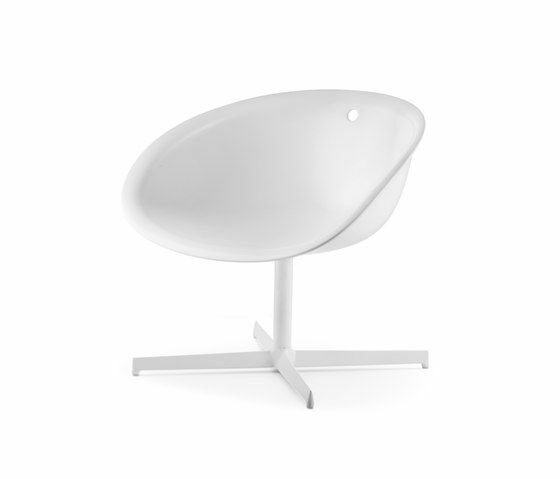 Gliss Lounge chair has steel sled frame or aluminium swivel base with technopolymer or upholstered genuine leather shell. Soft upholstered covering for Gliss Lounge shell available.